We often think of ghost towns as forgotten, desolate burgs located in remote areas with little human population. That’s what makes them ghost towns, at least. As we are about to find out, however, that is not always so. There are ghost towns around and sometimes even inside famous, bustling cities. In some cases, people in these major cities don’t know about the existence of the ghost towns right in their own backyard, so to speak. Here are ten such abandoned locales. 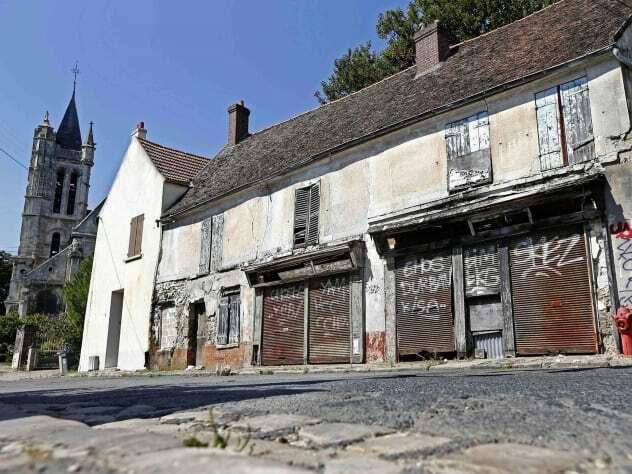 The deserted town of Goussainville-Vieux Pays shares its borders with the Charles de Gaulle Airport in Paris. It is so close to the airport that it is considered a part of the runway approach. The town is deserted and lies in ruin today because of the airport, which was supposed to have turned it into a major urban area. A huge chunk of the townspeople left when the airport was still under construction in 1973, after a Soviet Tupolev Tu-144 supersonic airplane participating in the Paris Air Show crashed into the town. The airplane destroyed 15 homes and a school. Eight villagers were also killed, along with six crew members. More residents left when the airport opened a year later. This time, the problem was the noise. Many townspeople were so distraught with the noise of low-flying airplanes that they just vacated Goussainville-Vieux Pays without bothering to sell their homes. Most are overgrown with bushes today. North Brother Island is just off the Bronx in New York City. 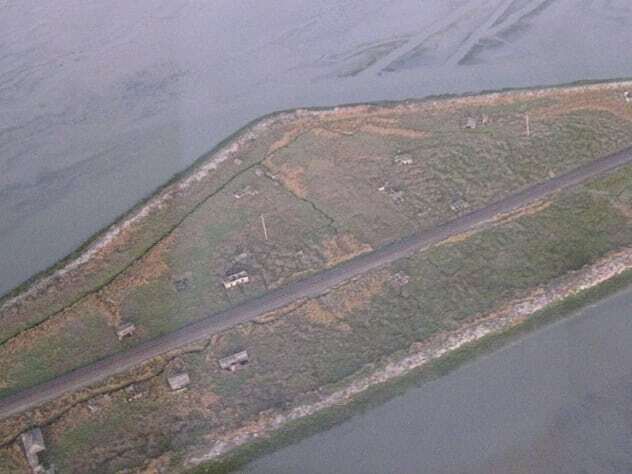 It has a neighboring island, which is called South Brother Island. 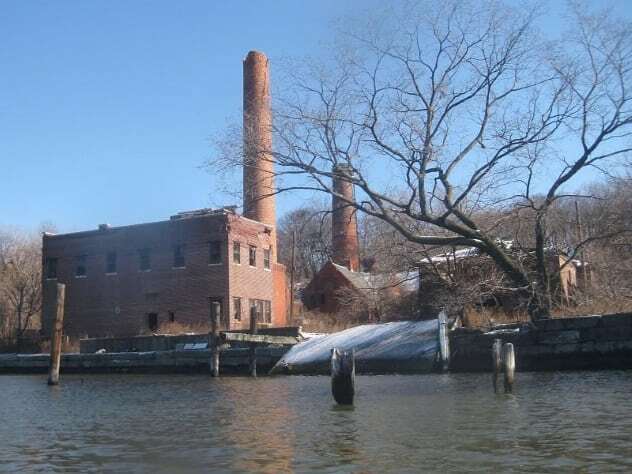 Both are unoccupied, although North Brother Island used to be more developed. It opened as a quarantine island in the 1880s. This was where New York kept people with deadly and transmissible diseases like measles and tuberculosis. Its most famous patient was Typhoid Mary, who lived on the island off and on for 28 years. She died there in 1938. 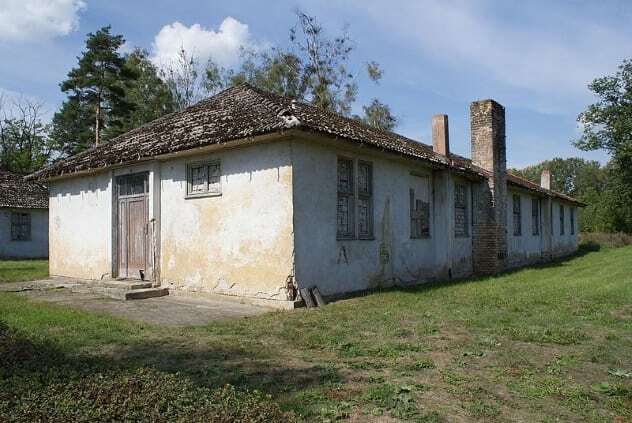 North Brother Island was converted into living quarters for World War II veterans after the war. Thereafter, it became a rehabilitation center for teens addicted to heroin. The rehab center failed and closed down in 1963. New York City considered selling the island, converting it into housing for the homeless, and turning it into an extension of the nearby Rikers Island prison, but it could not decide. Meanwhile, nature slowly began reclaiming the island, starting with the roads, which are now overgrown with weeds. The buildings also fell into disrepair and are collapsing brick by brick. The New York Parks Department took control of the island in 2001 and has declared it a “harbor herons region,” where herons are allowed to nest without human interference. The Olympic village lies in Wustermark, on the edge of Berlin, and was built by the Nazis for the 1936 Berlin Olympics. Hitler had the place built for propaganda purposes. He wanted to show off the might of Nazi Germany. No Olympic Games had been televised prior to the 1936 Olympics. Hitler chose this as the perfect moment to show the world the superiority and beauty of Germany. Hitler famously tried stopping blacks and Jews from competing in the games but backed down after several countries threatened to withdraw from the event. The village hosted about 4,000 athletes. The village was converted into a military hospital during World War II and a Soviet Army barracks after the war. The Soviet Army left when Germany was reunified, and the village has remained abandoned ever since. Germany has considered turning it into a housing estate or a museum, but it is yet to reach a decision. 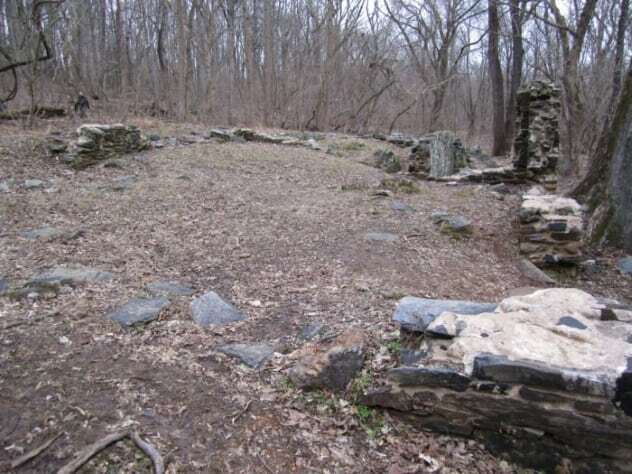 The abandoned town of Matildaville lies along the Potomac River in Virginia, very close to Washington, DC. The town was founded in the 1790s when Harry Lee, the father of future Confederate general Robert E. Lee, leased the land for 900 years. There, he created the town of Matildaville, which he named after his late wife. Harry Lee hoped to industrialize the land using the currents and water of the nearby Potomac Canal. The canal itself was the brainchild of President Washington, who lobbied the governments of Virginia and Maryland to create the Patowmack Company, which dredged the canal to allow cargo boats through. Most of Matildaville’s townsmen worked with the cargo boats. Others worked in the forge, sawmill, markets, and other businesses that had sprung up. The Patowmack Company was dissolved in 1823, after it was unable to finance its debts. While it collected tolls from boats using the canal, it did not earn enough to pay off its debts or cover the cost of dredging the canal. The canal itself was unusable for a good part of the year. It froze in winter and flooded when it rained. The Chesapeake & Ohio Canal Company took control of the Potomac Canal in 1828. It built a new canal, bypassing the original. This destroyed the economy of Matildaville, forcing many of the residents to leave. Solace came in 1838, when some investors opened a textile factory that was powered by the water. The people returned again, and the town was renamed South Lowell. In 1853, the federal government sued the factory for using the canal current to operate its machines. The government won the lawsuit 40 years later, and the town finally went under. 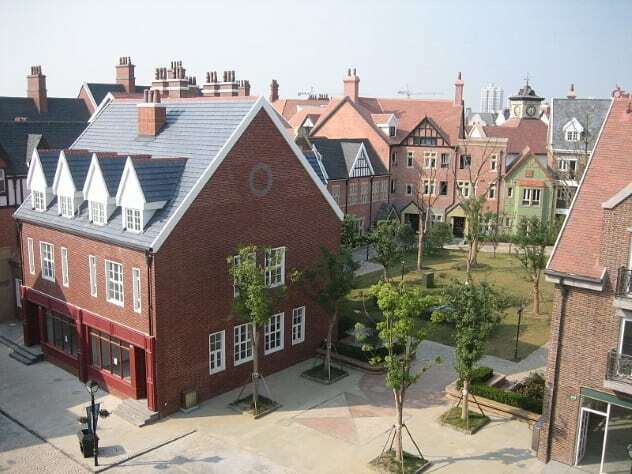 Thames Town, Songjiang District, is just 40 minutes from downtown Shanghai. It is a planned city and a failed attempt by the Shanghai government to push people away from the busy and heavily populated city center to underpopulated parts of the metropolis. In 2001, the Shanghai Planning Commission decided to build the town, along with eight others, under its One City, Nine Towns plan. The new towns were supposed to be miniature replicas of famous locations across the world. Thames Town is a replica of Britain. It is even named after the River Thames. The government of Shanghai spent over two billion yuan to build the city. The town failed to achieve its purpose after a property bubble made the houses too expensive for the middle class. Most of the houses are owned by rich people, who either keep them as vacation homes or so that they can sell or rent them out in the future if the homes increase in value. 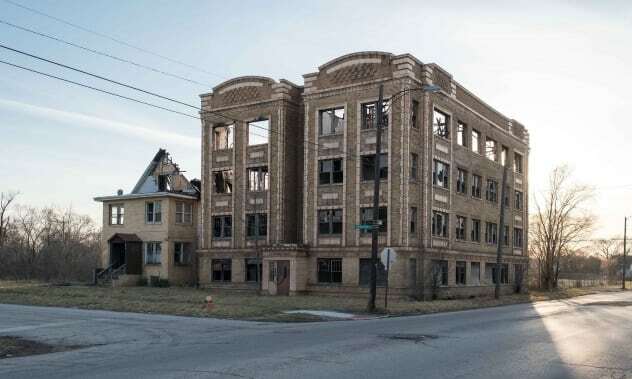 The fact that Gary, Indiana, is just 64 kilometers (40 mi) from Chicago, one of the largest cities in the US, isn’t stopping it from becoming a ghost town. Gary isn’t there just yet. It still has a population of around 77,000 people, but that’s not enough to fill the town, leaving parts of it deserted. Weeds have overtaken several areas, and many buildings have fallen into disrepair. Gary used to be a major manufacturing base and was known to have a crime problem. Murder and drug use were common. But most of the industries have closed down, taking the people with them. The criminals followed since there was no one to steal from. The drug dealers also followed since no one was buying their drugs. Today, Gary is a shadow of its former self. It is one of the several American cites that have lost a huge chunk of their population due to the shuttering of industries. To win the bid for the 2016 Summer Olympics, the Brazilian city of Rio de Janeiro agreed to construct a full-size sports village for the games. The result was a 300-acre village that cost 2.5 billion Brazilian real. That monetary expenditure could not save it from becoming a ghost town. It fell into disrepair just six months after the Olympics. Electricity, water, and sanitary facilities that were all present during the Olympics are no more. Even the high-rise Marriott hotel that was built for the games is abandoned. Olympic Park caused some controversies during its construction. The site used to be occupied by a poor neighborhood called a favela. The government forcefully ejected the residents to create the village but allowed some to stay after the forced ejections became international news. 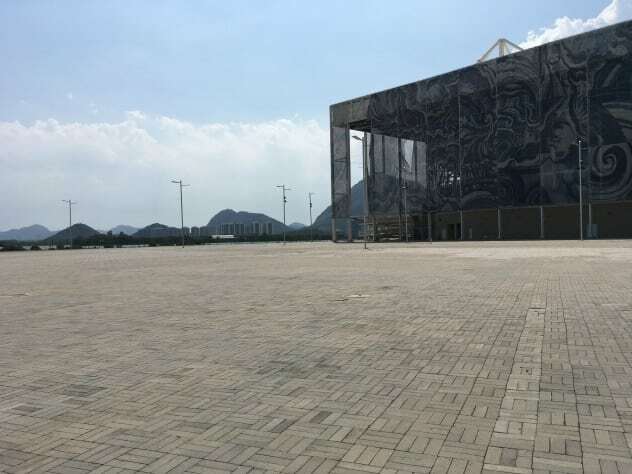 One reason why Olympic Park failed to develop after the Olympics is its distance from Rio. It is too far from the city center. Getting to Rio de Janeiro’s busier areas from the village by public transit takes over two hours and requires switching buses several times. Drawbridge, California, is a ghost town with a population of zero. This is despite its proximity to heavily populated cities like Fremont, San Jose, and San Francisco. The abandoned settlement is located at the southern end of San Francisco Bay. Drawbridge was founded in the 1800s when “Slippery” Jim Fair and Alfred “Hog” Davis formed the South Pacific Coast Railroad to transport San Francisco residents to Santa Cruz. Instead of laying their track along the longer route used by stagecoaches, they laid it across the water, through a small island. The area around the island was a major waterway, forcing the company to construct swing bridges in 1876, which they erroneously called drawbridges. This was where the island got its name. George Mundershietz was employed to control the bridges, making him the island’s first resident. Train passengers soon realized that Drawbridge was filled with wildlife and would often stop to hunt. Hunting cabins and hotels soon sprung up to create a small town. Lawlessness was rife, since there was no government in the town. Prostitution and gambling were normal, and alcohol was openly sold during Prohibition. Drawbridge started to decline when nearby cities started dumping human and industrial waste into the water. This made the island stink. Nearby salt ponds also forced the birds to leave for less salty areas. The island also began to sink and would often flood during high tide. The last resident left in 1979. Today, it is classified as a wildlife refuge for birds. Trains still use the tracks, but they do not stop. Valdeluz is just 61 kilometers (38 mi), or less than a hour’s drive, from Spain’s capital, Madrid. Yet it is a ghost town. The city was built by Spanish construction company Reyal Urbis along the high-traffic Madrid-Barcelona train route. It was supposed to have 30,000 people when completed. Reyal Urbis touted it as a green city with peace and quiet that could not be found in Madrid. It came with its own facilities and golf course. 9,000 homes were planned. 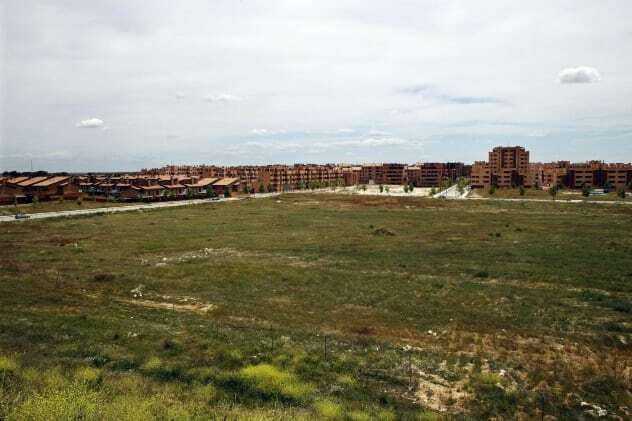 Reyal Urbis only managed to build 2,200 homes before Spain experienced an economic crisis in 2008. Only 200 people were living in Valdeluz at that time. Homes have fallen between 50 and 60 percent in value. Undeveloped tracts are 80 percent cheaper than they originally were. A home that sold for $325,000 in 2007 was worth only $135,000 in 2014. More people have moved into Valdeluz after the housing price drop, but the population is still a fraction of what was intended. Tianducheng in Hangzhou, Zhejiang province, is another of China’s copycat cities. This time, it is modeled after Paris. It is also relatively near Shanghai. Hangzhou itself is not a small city. It has a population of nearly ten million people, although this is no match for Shanghai’s 24 million. 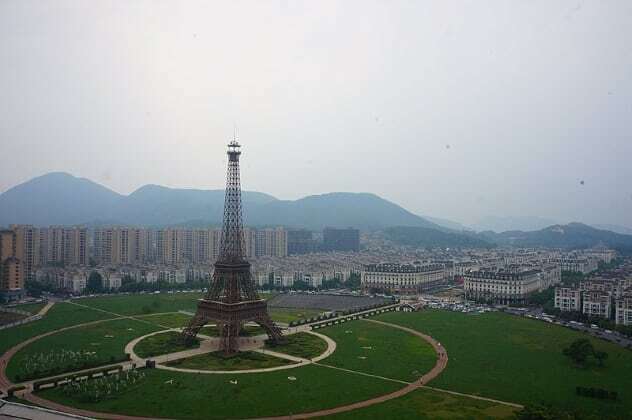 Tianducheng was built for 10,000 Chinese who want to have their own Eiffel Tower copycat and pretend they are in France. But the people never came. The city is more of a destination for tourists and newlyweds who need good locations for their wedding photo shoot. Only about 2,000 people have actually moved in. Tianducheng is unpopular because it is too far from Hangzhou and Shanghai’s city centers, and there is no public transport. However, it may not be a ghost town forever. If Shanghai or any of the neighboring cities expand in size, people will be forced to live in Tianducheng. Read about more abandoned areas around the world on 10 Deserted Towns That You’ll Want To Visit and 10 Abandoned Places Being Reclaimed By Nature.